Reacher’s curiosity is piqued when he gets off a bus and wanders into a pawnshop. Inside the shop he spots a small class ring from West Point stamped with the year 2005 and engraved with the initials S.R.S. He immediately questions what could have happened to the owner of the ring to force her to sell it. Reacher assumes the owner was female because of the look and size of the ring. He purchases it and asks the pawnshop owner who brought it in to sell. The answer sends him on his journey. The first name leads him to a town, and that person leads him to another somewhere else. 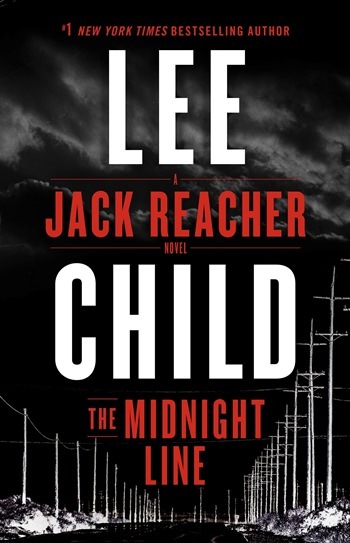 In usual Reacher style, he never gives up or wavers, this time not to see justice being served, but to simply answer the question of what circumstances could possibly force a cadet who rightfully earned the ring to give it up. What Reacher discovers isn’t quite what he was expecting. The ring is just a tiny part of a vast criminal enterprise that crosses state lines. Child has written another compelling and moving novel featuring the iconic American hero who never stops until he’s satisfied with the results. While the story is bold and mysterious, the empty landscape with few individuals living in the area spotlights Reacher’s loneliness. They were choices he made a long time ago, but he might come to regret not settling down and establishing a lack of roaming life.